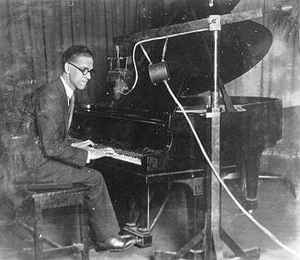 "The Whispering Pianist" was a moniker used by radio and recording artist Art Gillham. In February 1924, Gillham appeared on WSB in Atlanta. Lambdin Kay, the WSB Program Director at the time, was also the radio columnist for the Atlanta Journal. Mr. Kay featured Art's photo with the caption "Whispering Pianist". The nickname stuck, and Art continued to use that as his billing throughout his career.